Muataz Awad is a System Administrator and Web Developer at Trans International, LLC. 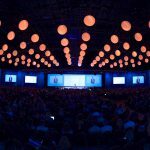 I spoke with him about how attending his first Laserfiche Empower conference inspired him to expand his organization’s use of Laserfiche. What was your favorite thing about Empower? 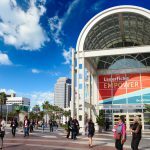 I found that the Empower conference was very well organized. All Laserfiche employees worked together as a team. The conference was extremely informative and all the employees were supportive. The food was also amazing. My favorite class was Database Tuning and Maintenance. 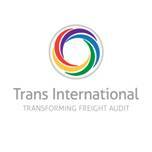 Trans International was facing some major issues with our SQL database. This course helped me resolve those issues and taught me how to back up all the data correctly. What lessons did you learn at Empower that you plan to implement at your office? One of the important things that I learned is how to create and attach a brand new repository. I also learned how to back up everything correctly. We have been Laserfiche users for several years but were only using 10% of it. I am looking forward to expanding our Laserfiche use within the organization by implementing everything that I learned at the conference. What was your favorite networking event? Did you meet any other Laserfiche users who taught you something valuable about your system or your approach to ECM? I met a lot of people who shared their own experiences with me. I learned a lot from them including the steps required to resolve my problems with the SQL database in a virtual environment. Be prepared to learn a lot from the great variety of classes. Make sure to take advantage of the free online CPP course coupon from the conference.